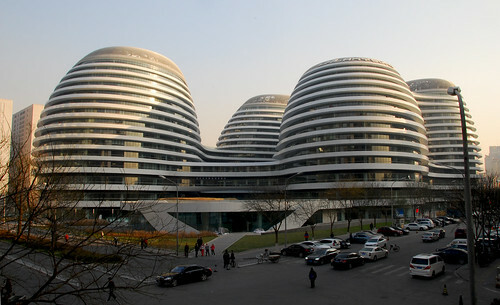 Five continuous, flowing volumes coalesce to create an internal world of continuous open spaces within Galaxy Soho â€“ a new office, retail entertainment complex devoid of corners or abrupt transitions â€“ a re-inventing of the classical Chinese courtyard which generates an immersive, enveloping experience at the heart of Beijing. This entry was posted in Architecture and tagged Galaxy Soho, Zaha Hadid. Bookmark the permalink.